The Valencian company Helados Estiu, an exclusive Mercadona provider, will equip the warehouse in its new logistics centre in Cheste (Valencia, Spain) with the semi-automatic Pallet Shuttle system by Mecalux. It will have a capacity for more than 10,300 pallets of 800 x 1,200 x 2,450 mm and a maximum weight 1,100 kg each. The installation is composed of four cold storage units that work at a temperature of -23 °C, three of them using the FIFO system (first in, first out). Helados Estiu has relied on Mecalux because of the firm’s prestige, its long experience related to cold storage solutions and for having the market's most advanced Pallet Shuttle system. Operators will control the shuttle via a Wi-Fi connected tablet that incorporates specific software, proof of the cutting-edge technology in this system. 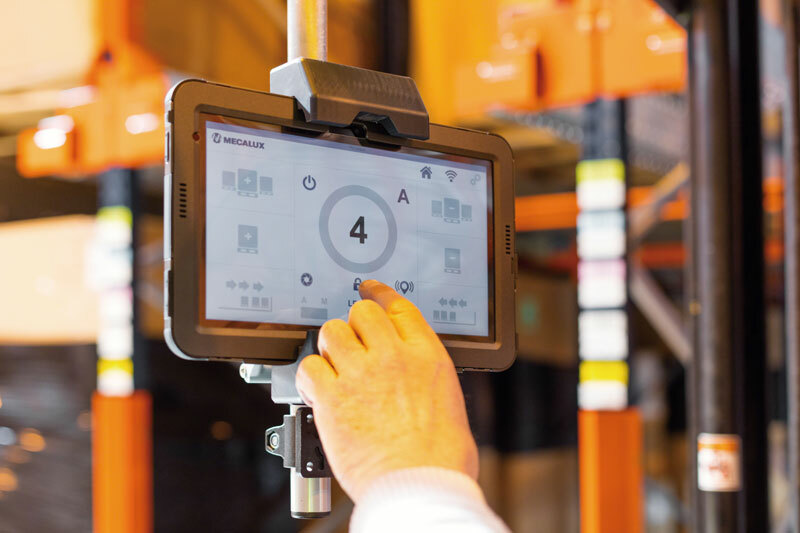 In addition, the shuttle can be visualised and guided during rail centring operations making it much faster and safer, thanks to the augmented reality of the Pallet Shuttle's integrated camera. Helados Estiu, founded in 1983 by a group of local ice cream artisans, has established itself as a leader in the sector and focuses on the consumer and a commitment to quality and innovation. The company combines family tradition with state-of-the-art, advanced manufacturing, in which corporate social responsibility, environmental protection and R&D pervade across all departments.